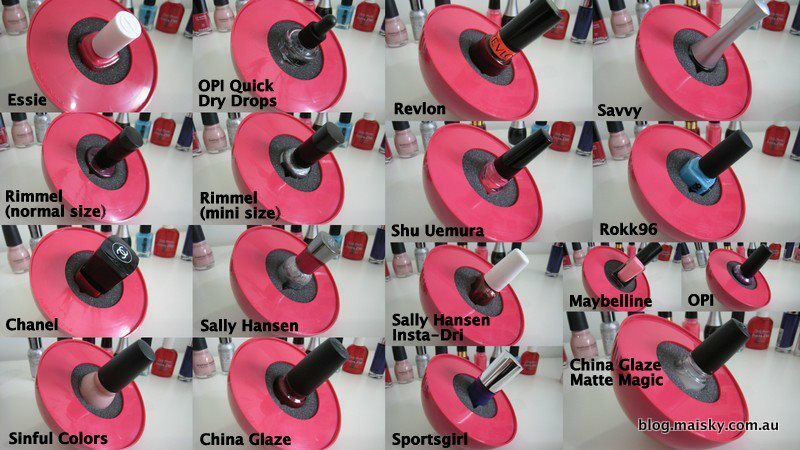 Insert your nail polish bottle into the foam of the LadyBug™ & start painting-it's that easy! It'll rock & wobble but it won't tip over. 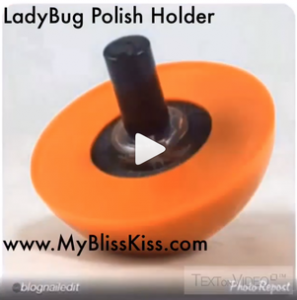 When your polish runs low simply tilt the LadyBug™ onto one of its non-slip pads. The innovative US PATENTED design allows you to get more polish on your brush and continue painting...all while using one hand! It rocks without spilling! It’s so simple, and it really works, you will say to yourself, why didn’t someone think of this sooner. Customer Satisfaction is our highest priority. We offer a 100% moneyback guarantee if your are not fully satisfied with any of our products. If you have an allergic response, contact us for a replacement. We can be reached Monday to Friday 9 am to 4:30 pm PST, through our Contact Us page and we will help with any issues or concerns. We strive to answer emails within 48 hours on business days. polish gets low. While it looks cute and dainty, this LadyBug™ is tough stuff! Made from high-strength, durable plastic that is designed to withstand a fall, the LadyBug™ has got you covered! It works!! This really does what it says it does and it's provided many a treacherous bill of my expensive polishes ! You only thing is you have to press down on the top plastic cover a few times because it tends to pop out but that's minor considering how useful this tool is maybe mine is just loose but I would purchase again ! And it's really cute too ! I usually do my nails in bed at the end of the day (because I am a slob). Before I used to sit with my feet touching at the soles so they could hold my nail polish and stop it from spilling. Now I use this spill proof polish holder and set it on the mattress and do my nails. 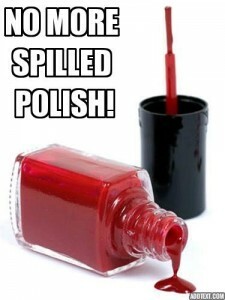 Even if I did my nails at a table I would like this because I'm super clumsy. I saw this and wanted to try it, seemed like it would be easy to use avoid knocking over the polish bottles a lot like I do (: It actually works to my convenience. especially how it tips to the side so I can get those last little bits of polish!